Like most issues in cases involving families and children, child support can be a contentious issue. Too often the parties involved want the amount of child support to be a certain amount because of the effect it has on the other party, not because an appropriate amount needs to be set in the best interests of the children. Fortunately, the law provides a formula to calculate the proper amount of child support. Unfortunately, the calculation can often be difficult. 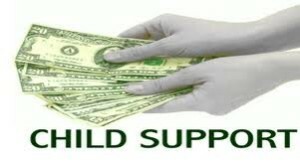 Depending on the number of children involved, child support is supposed to be a percentage of the net resources of the person obligated to pay child support. The calculation of child support is tricky because of the term ‘net resources.’ Certain things count as resources while others don’t. For example, wages count but the return of capital does not. And as the number of assets involved increases, the computation becomes even more difficult. At Guest and Gray Law Firm we have plenty of experience determining the proper amount of child support in cases with varying amounts of assets. Our goal is to take a highly emotional and often complex issue and simplify it. We want to make sure an accurate calculation is made based on accurate information. The issue of child support doesn’t necessarily go away once an amount is initially set. If the other party is not meeting its child support obligations, we can file a motion to enforce the court’s order in an effort to make sure your child is being provided for. The situation also arises frequently in which the party obligated to pay child support has a change in circumstances such as a change of employment or even a loss of employment. Under certain circumstances, child support can be modified. The law allows for modification of child support at any time following a substantial change in circumstances, and it provides that child support can be changed every three years even if there has not been a substantial shift in the circumstances of the parties involved. At Guest and Gray Law Firm, we can handle any of these situations whether it is the initial child support calculation or any issues that arise after that point. Any of our experienced family law attorneys would be happy to sit down with you and discuss your particular situation and the options that you have. We’ve had clients dealing with any issue you might be facing. Call today to set up your free initial consultation!